Grass-fed beef and lamb, fresh seared seafood and farm-to-table vegetables. Lanterns and fairy lights on the deck under tall oaks. And the delightful din of conversation for one night only every week. 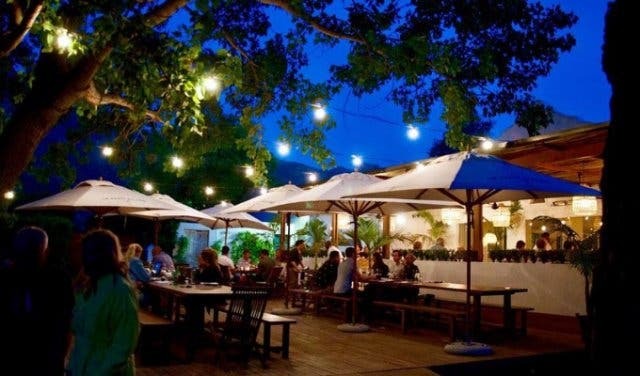 Live music Fridays at La Paris Bistro in Franschhoek is one of those romantic winelands evenings everyone needs to experience at least once. 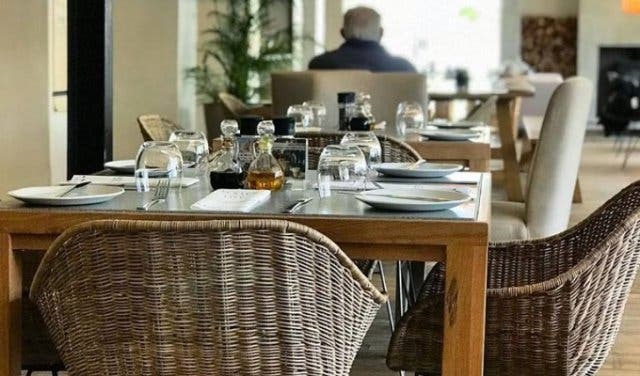 The La Paris Bistro is situated on the estate on Wemmershoek Road about 12 minutes from Franschhoek and Paarl either way. 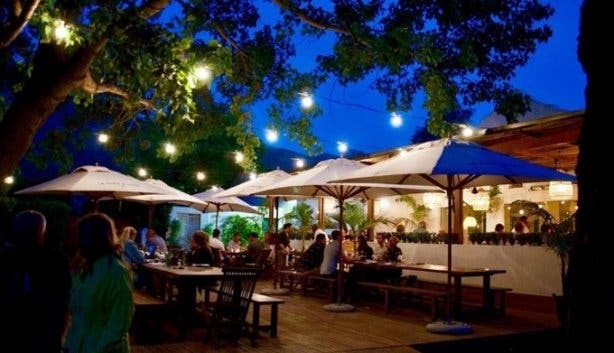 And, if you haven’t been, you should: the La Paris Estate is something of a gem for farm-fresh food, delicious baked goods and especially exciting and romantic experiences. 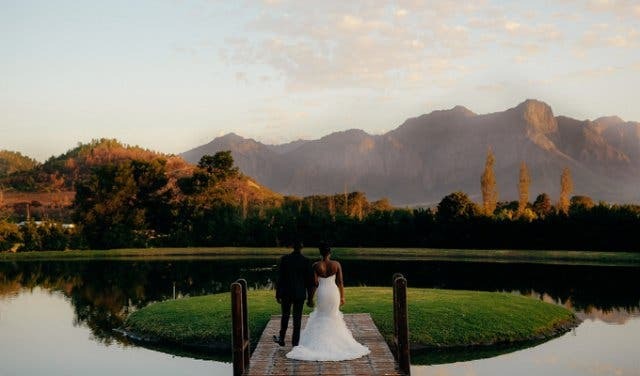 It’s an exceptional venue for weddings and functions in Franschhoek. 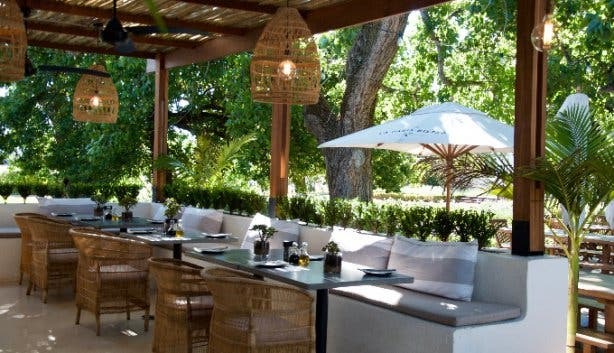 The Bistro is quite well known amongst Franschhoek chefs – this is where they come to eat on their day off. 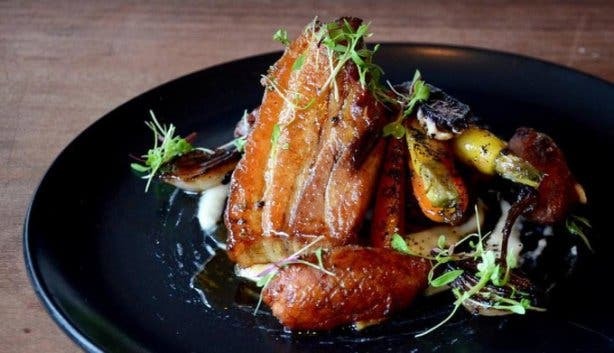 Because it’s both open on a Monday (when most other restaurants are closed) and serves a mix of traditional SA food with a modern twist, all using farm-to-table ingredients. Normally only open for breakfast and lunch, the La Paris Bistro has launched Live Music Fridays, the only night of the week they’re open till late (5pm–10pm every Friday). And what an amazing atmosphere it creates. Fairy lights and lanterns are strung along the old oaks and the newly built deck that spills onto the central courtyard of the estate. There’s a live band (specially selected, good music) playing 45-minute sets throughout the evening. And it creates an awesome and romantic atmosphere – plus: there’s a sheltered patio section, just in case the wind picks up. It’s really just one of those things you have to experience for yourself. 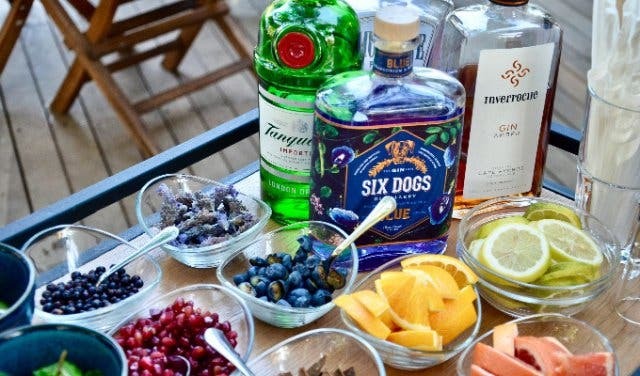 You’ll be surprised to see that it’s not only the outdoor deck that fills up on a Friday. The 70-seater indoor section gets rather busy, too. 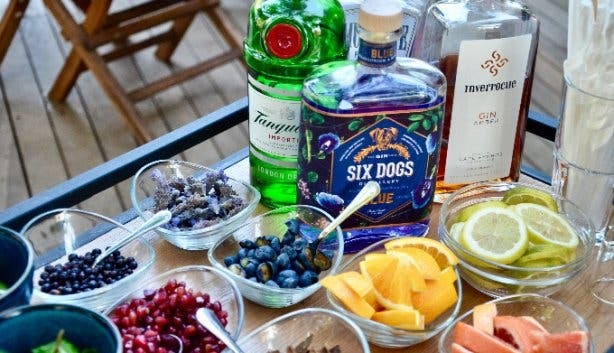 And most everyone’s here to have good wine, order from the drinks cart and sample La Paris Bistro’s seasonal menu. While the breakfast and lunch are what they’re famous for here, the bistro gets to be a little more creative with the Friday dinners. And so it does. 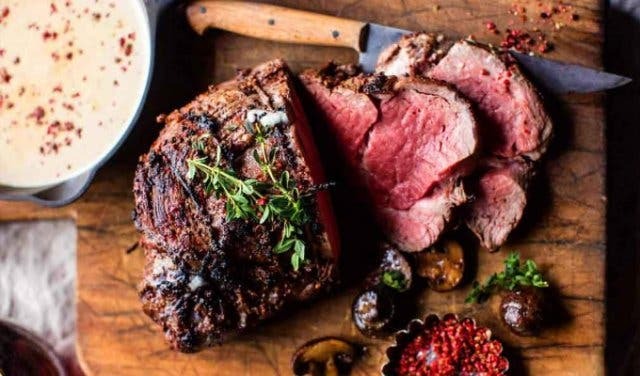 Expect meals that borrow from traditional SA cooking (food the way granny used to make it), with a surprising and modern twist. Think corn fritters with a delightful aïoli surprise. A rack of lamb with pear and prosciutto. Soy-cured salmon bowl. Or sirloin with bearnaise sauce or country-style chakalaka. Although, it’s important to note that the menu changes, so it’s never quite the same two Fridays in a row. What stays the same, though, is the fact that ingredients are fresh: either grow right here on the farm or sourced from local producers on La Paris’s speed dial. It’s a highly recommended experience for anyone looking for a fun, energetic and exciting new experience in the winelands. Famously open on Mondays (closed on Tuesdays) and from Wednesday to Sunday, the La Paris Bistro in Franschhoek serves farm-fresh breakfast and exquisite lunches. There are a kiddies play area and big chalkboard in the deli. And loads of seating, including comfy couches near the fireplace, if it gets chilly. Also experience lunch, high tea, coffee with friends or just a simply delicious cake stop at the La Paris deli in Franschhoek. 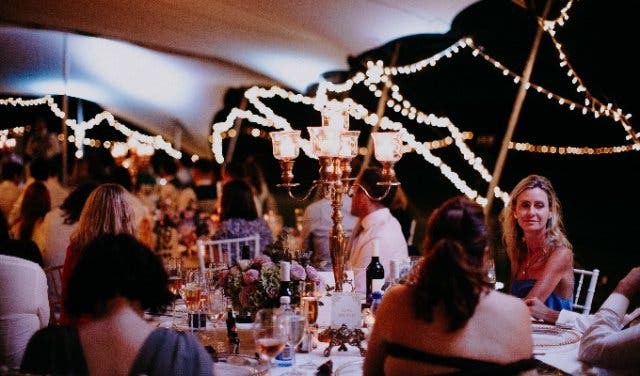 Discover more remarkable wedding venues in the Cape Winelands, places to have your office party around Cape Town and beautiful spots to have your functions in the Western Cape. Share the experience at these restaurants around Cape Town. 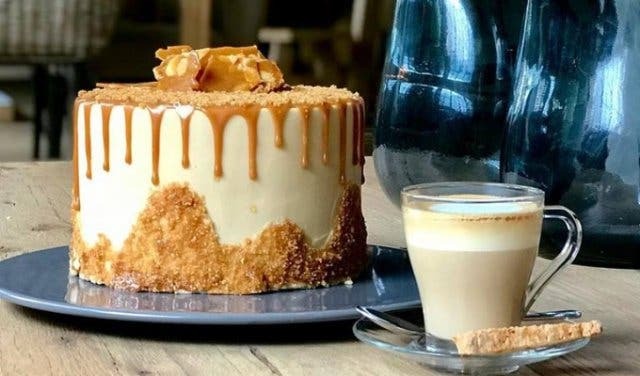 Discover awesome places to buy cakes and special delis, plus: places to catch live music in the Western Cape.